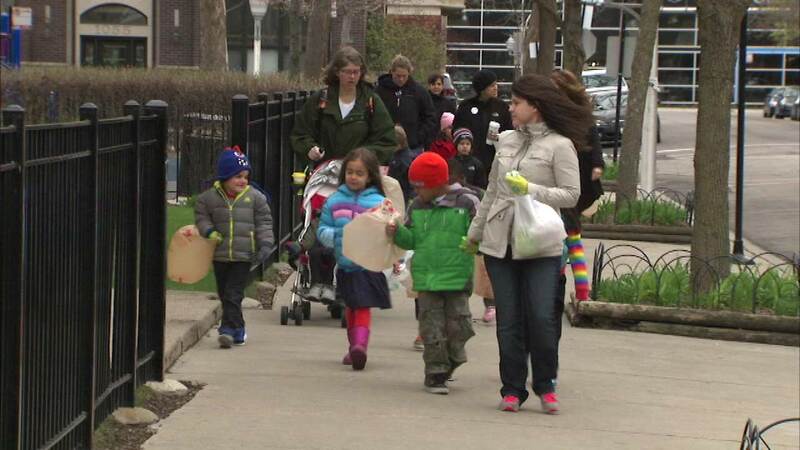 CHICAGO (WLS) -- Some Chicago kids really pitched in on this Earth Day as students at Agassiz Elementary in Lakeview picked up litter around the neighborhood. The school held its fifth annual Earth Day environmental awareness event and recycling drive. People from ABT Electronics were on-hand to collect electronic waste.